One moment I’m barely working, the next flat out. Mountain biking is a sharp contrast to the road. The need for short bursts of power and greater technical skills test my weaknesses. I’m enjoying the challenge and will improve. A handful of rides is enough for me to consider an Enduro race in two weeks. This is supplemental training. It may provide benefits to my triathlon performance, but whatever those gains it will add to fatigue. As with any training I want to account for its contribution to my performance. I want to incorporate mountain biking into WKO’s Performance Management Chart (PMC). 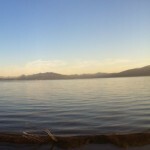 Any form of riding will affect bike fitness, I can’t ignore the time spent on trails. Tracking performance and measuring training is easy with power. 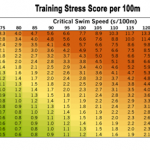 WKO takes Powertap data, calculates a Training Stress Score (TSS) and adds it into the PMC. The rare occasions I ride without power I’ve enough experience to estimate TSS well. I know the feel of a 200 TSS ride and whether today was one. Mountain biking is a new world without steady state riding. Constant fluctuations in effort and intensity are unfamiliar; I’ve no frame of reference for estimating TSS. My budget was spent on the new bike, another power meter is out of the question. Hard to justify the cost when you’re exploring a new area of training. A few trail rides already makes me question their use. Power seems to be a function of necessity – whatever it takes to keep moving forward. I’m too busy concentrating on where I’m going to look at a display. If it takes 500 watts to get up a rise what am I going to do? Get off and push or pedal harder? Post ride analysis would be difficult, but TSS could be calculated. I want to record the impact of mountain biking on training, but not at the price of a power meter. I lack the experience to estimate TSS from perceived exertion; ninety minutes on the road feels very different to ninety minutes in the woods. I have heart rate data from the rides, this could provide the basis for scoring each session. TRIMP – a measure of training load based on heart rate – could be calculated. 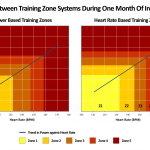 TRIMP and TSS factor training intensity over time, the former based around heart rate and the later power. The results are different, TRIMP values can’t be mixed with TSS in the PMC. I can easily calculate TRIMP in Excel, but need to convert it to an equivalent TSS before adding to WKO. I’m not the first to attempt this, Google provided a few pointers to get me started. I calculated TRIMP for twenty-two recent rides with known TSS; then plotted the values to find a relationship. A simple linear regression gives a means to estimate TSS from TRIMP. Applied to this week’s mountain bike rides the numbers seemed high, but ranked them identically to my perception. It appears to reflect the effort involved though I’ve no way to judge the ‘accuracy‘ of TRIMP derived TSS. I’m willing to incorporate the values into WKO and see how they develop. The approach is flawed. It would be remiss of me not to mention some of the many issues. Not least the assumption that my heart rate is consistent with power output. I expect harder training would tend to have higher power and heart rate, but am well aware the relationship is not linear. Of course it’s as flawed to assume there’s a linear relationship between TRIMP and TSS. 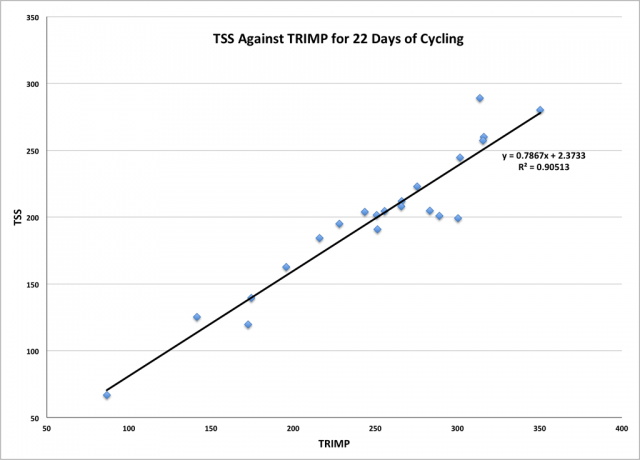 The sample set of rides compared steady state TRIMP-TSS, but mountain biking isn’t steady state; the TRIMP-TSS relationship may be entirely different. There is plenty of opportunity to critique the approach. 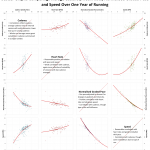 Without an alternative way to measure impact of mountain biking this provides a means to estimate TSS. With time I’ll be able to judge my training and score TSS myself. Mixing estimated TSS with calculated TSS will widen the margin of error in the PMC, but it would be worse to exclude a portion of training. This rough approach may be the better of two evils. I bought a mountain bike to add variety to my training and potentially to take my racing off road. It’s about having fun. Even so I want to incorporate the training into my PMC; I want a means of judging its overall role in my performance. TRIMP-TSS conversion may not be the best solution, but it gives me something to work with.